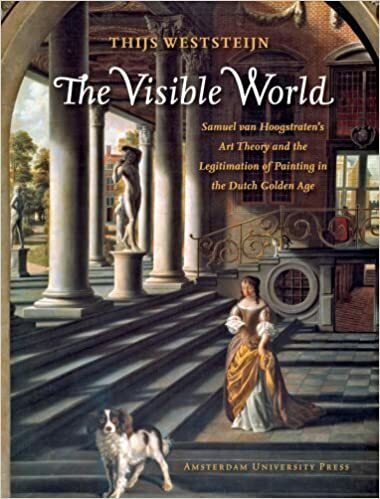 The Visible World explores the writings of Dutch painter and poet Samuel van Hoogstraten (1627–78)—one of Rembrandt’s pupils—and clarifies his use of painterly themes and theory from the Dutch Golden Age. Van Hoogstraten drew on a variety of literary, philosophical, and artistic sources, as well as from history and travel accounts, in writing has magnum opus, Introduction to the Academy of Painting; or the Visible World (1678) a cross-section of general seventeenth-century views on art in Holland. Questioning the motives of artists represented by van Hoogstraten’s theory, as well as the contested issues behind Dutch realism and its hidden symbolism, author Thijs Weststeijn provides an ambitious overview of seventeenth-century painting through the eyes of contemporary Dutch artists from the age.